Brave Orchid: ghost fighting shaman and healing doctor in China, domestic woman in America. The change is a big to say the least. While China and America illicit different responses from Brave Orchid, her character remains unchanged. Her character is not simple by any means, however. The complexity of Brave Orchid is that at times, the reader is compelled to view her in admiration and esteem and at others, the reader is compelled to look down upon her words and actions. For example, Orchid proves to have the will of an ox and unbeatable determination. She understands the value of hard work. Fitting of the elder asian stereotype, the very importance she places on hard work brings out irritating traits. I believe, after all, that hard work and success are only small pieces of the puzzle of happiness. Brave Orchid, like many asian parents of today, couldn’t agree less. 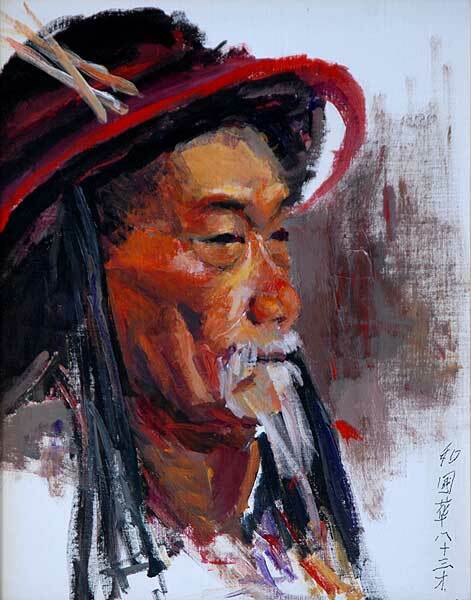 “Brave Orchid who had been married for almost fifty years, did not wear any rings. They got in the way of all the work.” (Kingston 127) It is this strengthening of the Asian-woman stereotype that is meant to be displeasing for the reader. Brave Orchid strengthens the stereotype not only through her personality, but in her attitude towards women in general. Again, she belittles her daughter, telling her that she costs too much. Kingston states that, “In China my parents would sell my sisters and me.”(Kingston 99) Whether the statement is true or not, the reader cannot help but feel bad for the daughter and disdain for the mother. At the same time, we recognize that Brave Orchid’s work ethic and intelligence are respectable traits that aid her care of her daughters. While Brave Orchid’s character seems to be independent of the country she lives in, her attitude is not. There is obviously some resentment towards America as a place. We can first see this through the comparisons between China and the United States. Brave Orchid complains that, “Human beings don’t work like this in China. Time goes slower there. Here we have to hurry, feed the hungry children before we’re too old to work.” (Kingston 105) Another way the readers can recognize Brave Orchid’s change of attitude is in her constant naming of “ghosts.” Unlike the ghosts of China, she cannot slay the ghosts she encounters in America. The ghosts in America represent all the things that Brave Orchid cannot grasp. 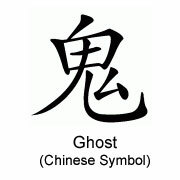 In China, she could not only understand ghosts, but destroy them. In America, ghosts are numerous people, places and things that remain out of Brave Orchid’s understanding and instead, become sources of frustration. And so this is the Asian immigrant experience: we lose all our supernatural powers, gain a strong work ethic, hone our mental math skills, and give up our ability to operate motor vehicles. But seriously, there is a loss that takes place when immigrants come from the East and start living in the United States. Asian-Americans who immigrate struggle to hold onto their culture and struggle even more to grasp the “ghosts” of an American culture. It’s a hard life to imagine, but there is always honor in the fact that their sacrifices are made for the good of their children. I am a first-generation child (at least half), and I will always appreciate the ghosts my mother, and countless like her, have had to overcome. Maxine Hong Kingston, The Woman Warrior. NY: Vintage Books, 1989. pb.